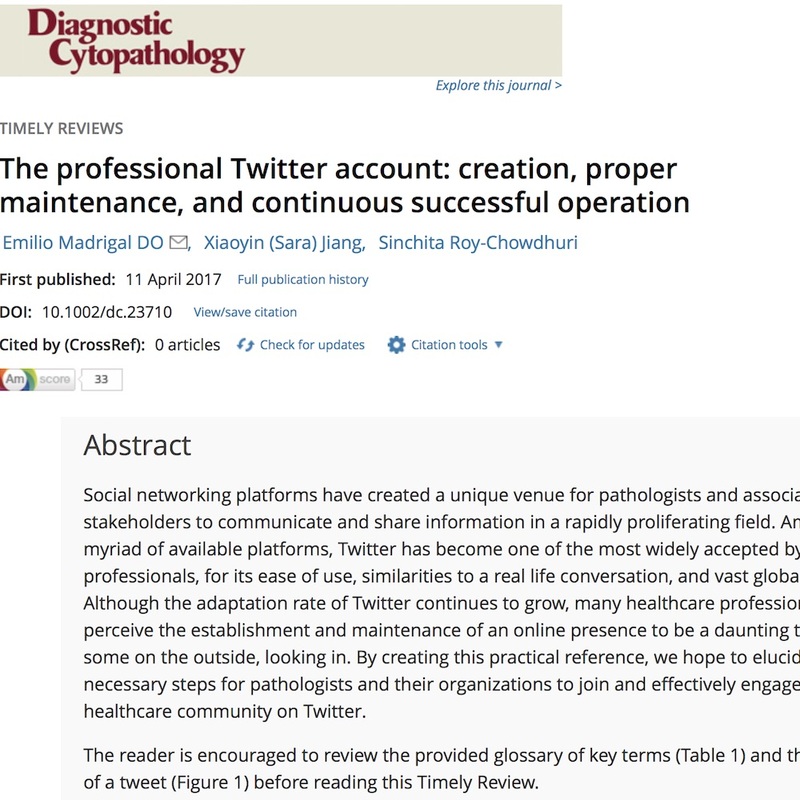 Social networking platforms have created a unique venue for pathologists and associated stakeholders to communicate and share information in a rapidly proliferating field. Among the myriad of available platforms, Twitter has become one of the most widely accepted by healthcare professionals, for its ease of use, similarities to a real life conversation, and vast global reach. Although the adaptation rate of Twitter continues to grow, many healthcare professionals perceive the establishment and maintenance of an online presence to be a daunting task, leaving some on the outside, looking in. By creating this practical reference, we hope to elucidate the necessary steps for pathologists and their organizations to join and effectively engage the healthcare community on Twitter. The reader is encouraged to review the provided glossary of key terms (Table 1) and the anatomy of a tweet (Figure 1) before reading this Timely Review.